Extension kit 26331110 https://www.kaercher.com/tn/accessory/extension-kit-26331110.html Telescopic extension kit for Kärcher window vac. With 2 telescopic lances, 1 mounting for the window vac and 1 wiper with microfibre cloth. Ideal for large and high windows. Telescopic extension kit for Kärcher window vac. With 2 telescopic lances, 1 mounting for the window vac and 1 wiper with microfibre cloth. Ideal for large and high windows. 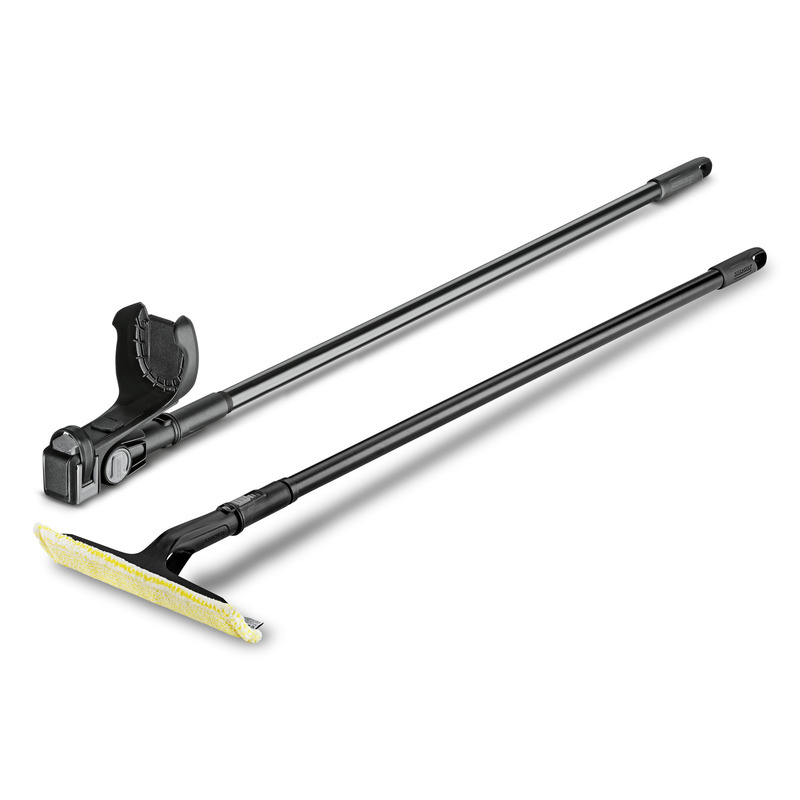 The telescopic extension kit for the Kärcher window vac consists of two telescopic lances, a mounting for the window vac with a flexible joint, as well as a wiper with microfibre cloth. The practical set is ideal for the optimal cleaning of high windows. The lances can be extended to max. 2 m. This way cleaning work can be comfortably performed at a height of up to 4 m.